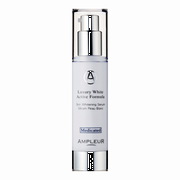 AMPLEUR is an exclusive whitening cosmetics technically used by estheticians! WHITE CLEANSING MILK is an essence cleansing designed for daily use to gently remove dirt, impurities and wash away make up leaving your sensitive and delicate skin soothed purified and calm! How many times have you tried to get the best whitening products? Have you been satisfied with its result? Your skin deserves a healthy and sun protected whitening skin care! It's your chance to use esthetic salon's whitening skin care products! Getting an effective whitening products while keeping a healthy balance skin is just a "one finger snap" to grab! "Hydroquinone" is a skin care component with100x power control against melanin that will be causing skin troubles such as skin stain. This is a strong inhibitor of melanin production preventing to develop a dark skin! "Hydroquinone" "Collagen" "Squalene" contained skin care,leaving you a soothed and make up free skin while maintaning a healthy balance in your skin. Gently rub between dry hands. Feel comfortable and get relaxed with pink liquid chamomile fragranced while washing off your make up. 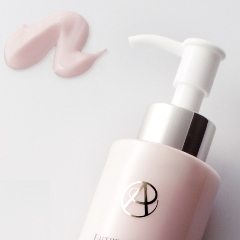 Cleansing milk gently cleanses makeup and skin pores washing away old keratin and restores comfort on your skin. Gently rub on dry hands.Massage onto face. Rinse off with warm water or just wipe off with cotton with 5-6 push. Use every night.Can be used for about 2 months showing your skin an amazing result! 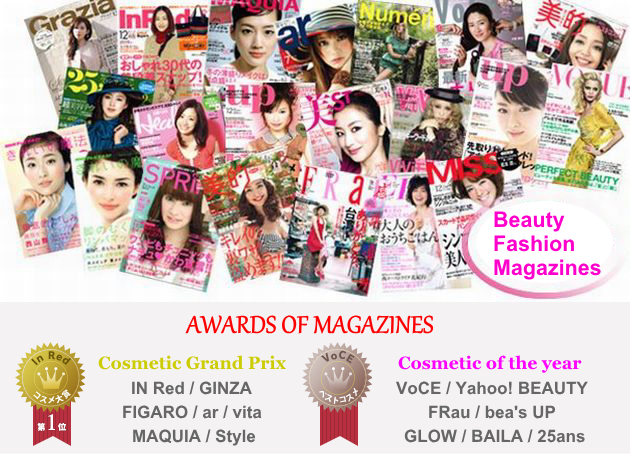 The cosmetics that has been continously introduced and promoted for more than 630 times by Japan's popular beauty and fashion magazines! 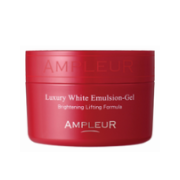 Whitening exclusive, AMPLEUR recommended and used by esthe professionals. List Price 3,990yen → 30% Commemorative Discount!